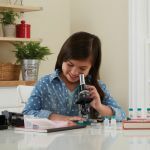 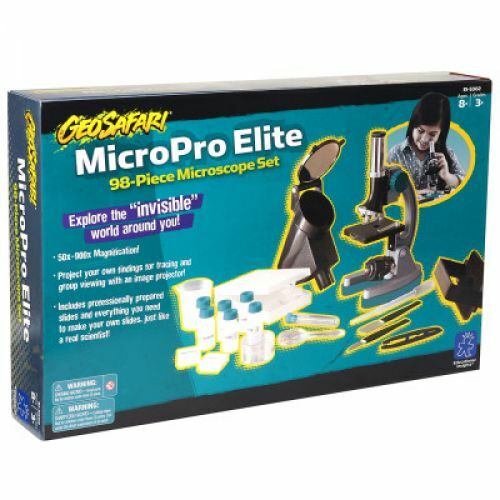 Explore the hidden wonders of the microscopic world! 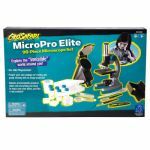 Young scientists can investigate everything from cells to crystals with the MicroPro Elite™. 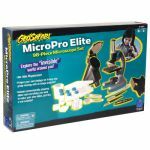 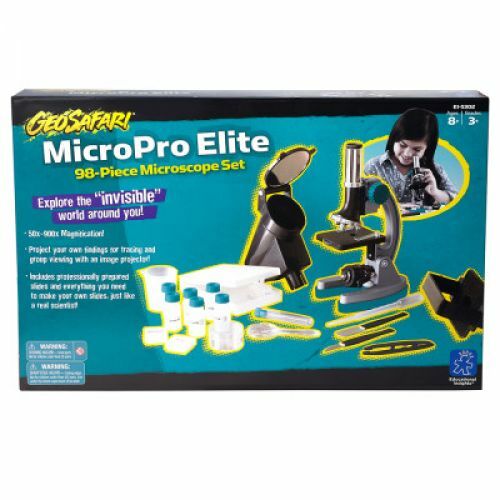 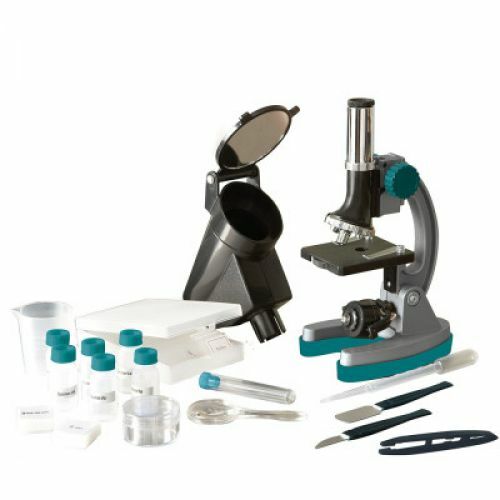 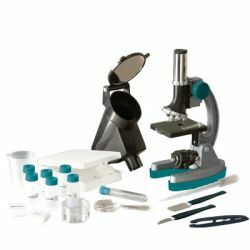 This 98-piece set includes all the tools kids need to create their own specimen slides and view them at up to 900x magnification. 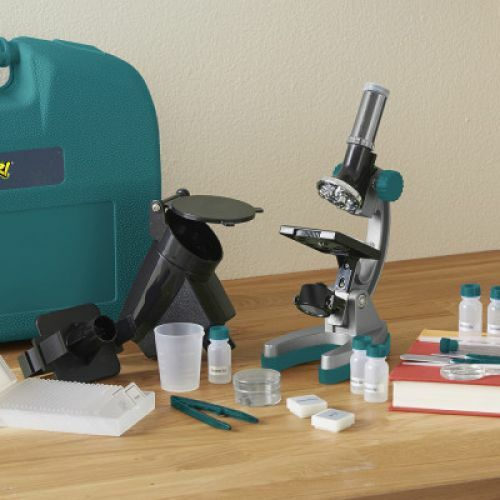 There is also a camera mount to photograph findings and a projection/drawing device to display images for tracing or group viewing.